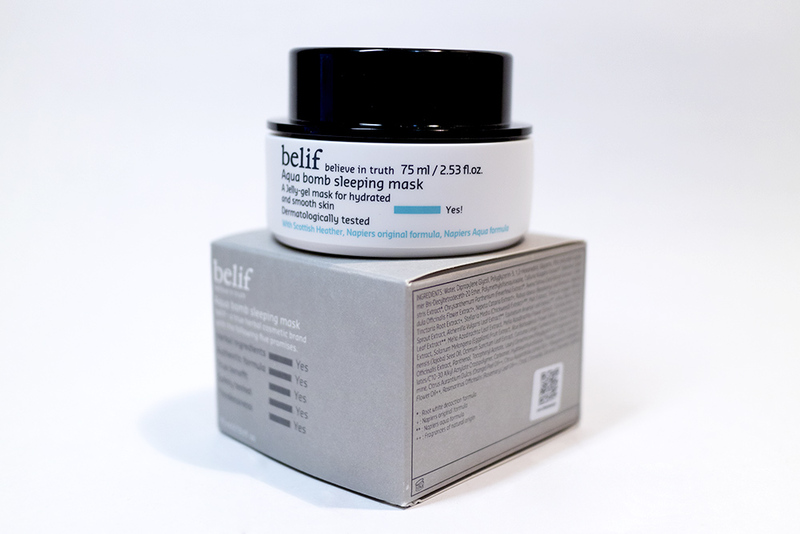 Review: Aqua Bomb Sleeping Mask (Belif) – Oh My Stellar! 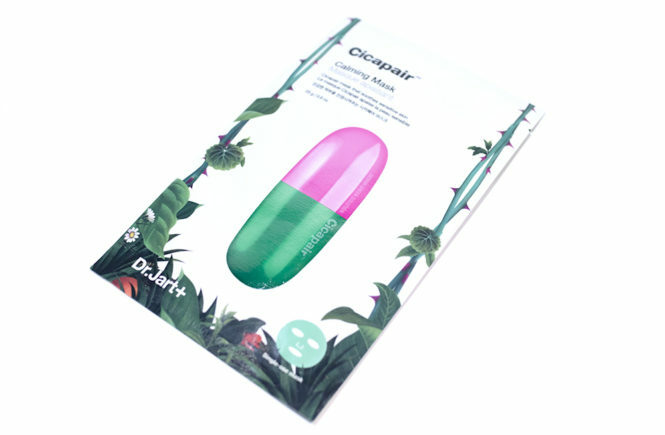 Their brand values stem from the idea of honesty, which is why their packaging is generally very simple and also seems to contain so much ‘honest’ information. Although it isn’t flashy, the design of it is very clean and beautiful, blending both modern and more traditional western typographic aesthetics. 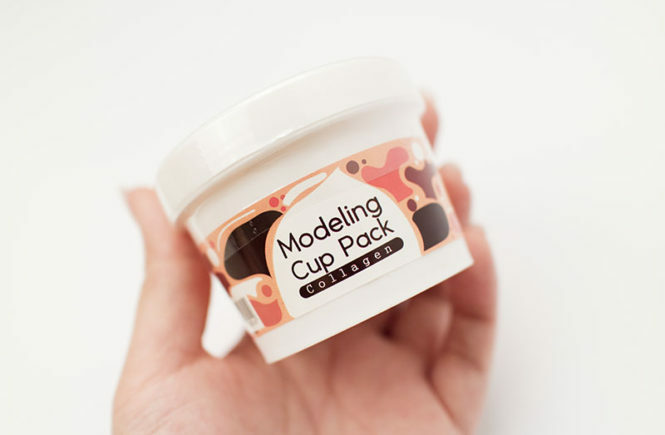 I absolutely love the design of their unit carton and also their tub! 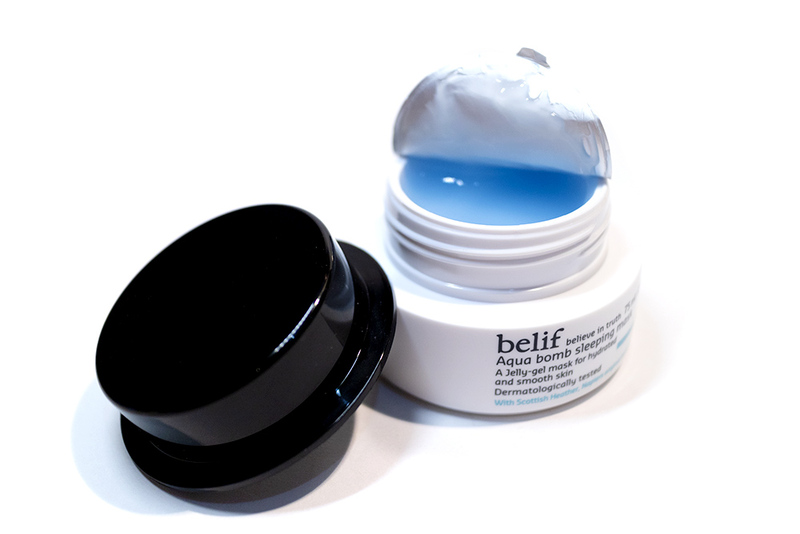 When you open it up, you will find the Aqua Bomb Sleeping Mask housed in a black and white tub (with small blue accents) – which is very similar to the original True Cream Aqua Bomb. Although the tub is made of plastic, it feels to be of a good quality as the lid also screws on very smoothly and the rest of it also feels nice and sturdy. The shape of the lid makes it easy to open up too. I also like that it has a flat top and bottom, making the tub easy to store and stack. 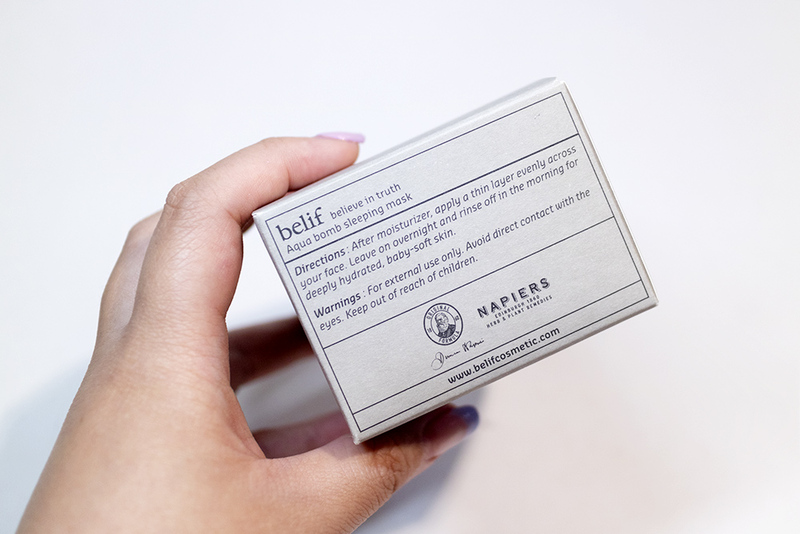 The packaging design is very minimal and functional – and that makes my designer side very happy. Overall, I am very happy with the packaging of this product and I’m glad that they’ve carried the design of the original cream over to all other products in this range. 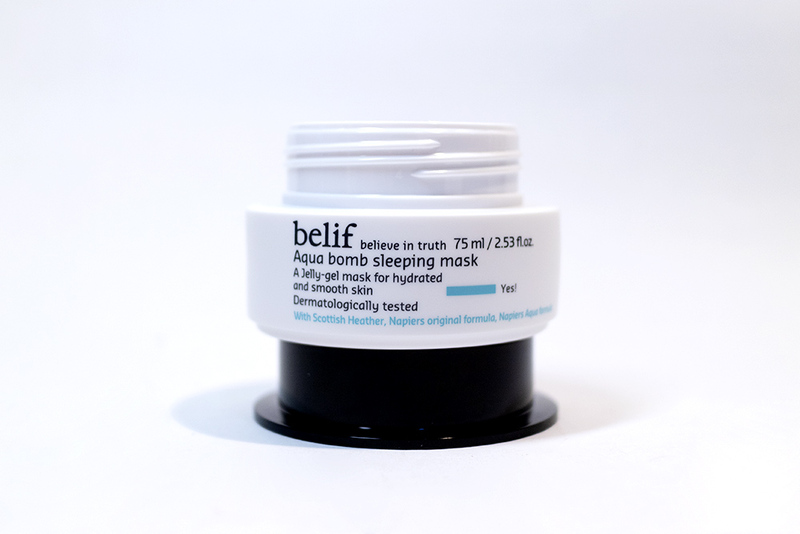 As we all know, Belif is most famous for their Aqua Bomb Cream (which is also available at BONIIK) but I chose instead to try out their Aqua Bomb Sleeping Mask. It is a bit cheaper too, which I feel makes it a better choice for my ‘first dip’ into the brand. This is a sleeping mask with a jelly pudding texture, similar to the Innisfree Wine Sleeping Mask that I had used in the past. 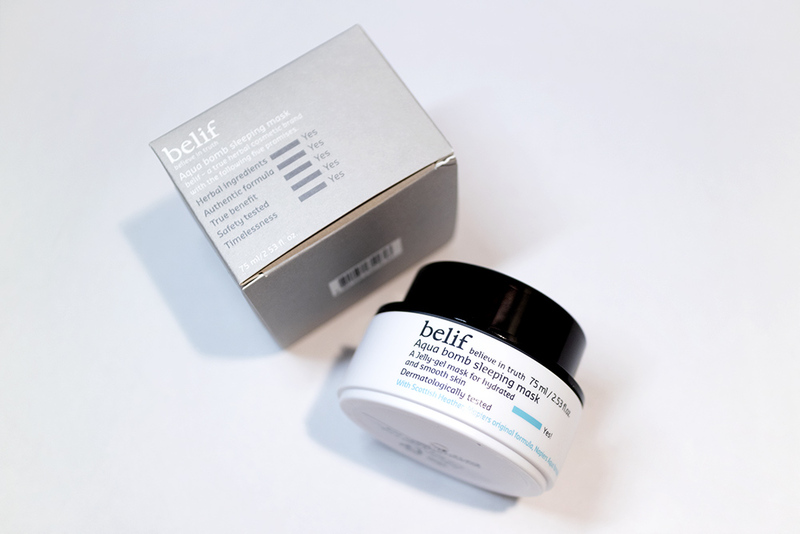 It claims to provide intense hydration to the skin and to “revive dull, dry, dehydrated skin for a dewy and radiant glow while you sleep.” It does this through that exact jelly type of texture – this formula has a ‘memory’ function where, no matter how it is disturbed or applied, it will settle down to form a sort of flattened film over the contours of your skin. In additional to this, this formula also contains soothing ingredients, such as Scottish Heather and Lady’s Mantle (both of which are plants, no worries). It is dermatologist-tested and is free of mineral oils, petrolatum, synthetic preservatives, dyes, fragrances, and animal origin ingredients. The Aqua Bomb Sleeping Mask also claims to be pillow-proof, lightweight and quick absorbing – though I do disagree with these points. For this Aqua Bomb Sleeping Mask, I found that the texture was even thicker and more emollient than any other that I have used before. 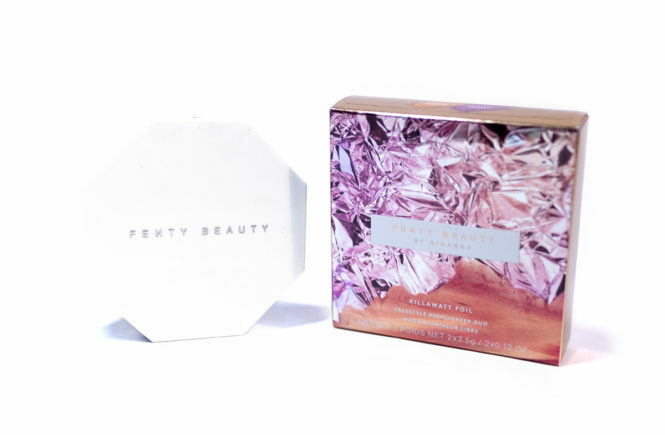 As soon as you apply it to the skin, it creates a very intense and mask-like cover. 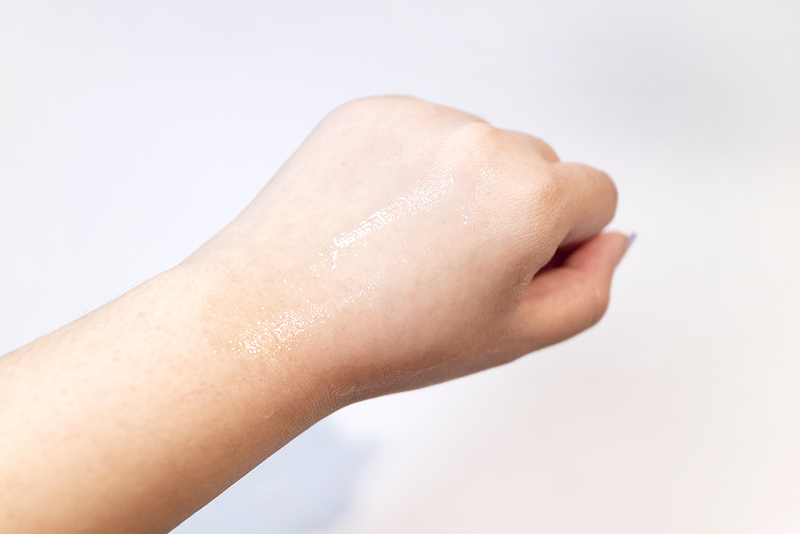 It’s very smooth and easy to spread on top of the rest of your skincare. I personally love how well this applies and it’s quickly become my favourite step in my evening routine too! It also have a very nice scent – a combination of citrus and herbal – which feels very calming to use, though it isn’t overwhelming at all and fades once it is applied. I leave this on overnight, of course, and I always wake up with very smooth and very hydrated skin. 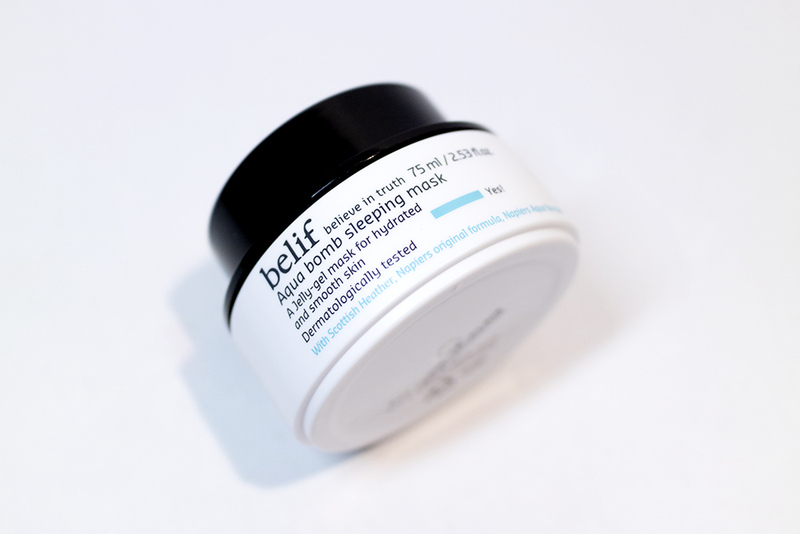 Even when I am extremely exhausted and overworked, which is most of the time, using this mask at night guarantees me a more radiant and supple complexion the next morning – even if there is no saving these dark eye circles. The claim that I have to disagree with though is that this formula is not lightweight and nor is it quick absorbing. 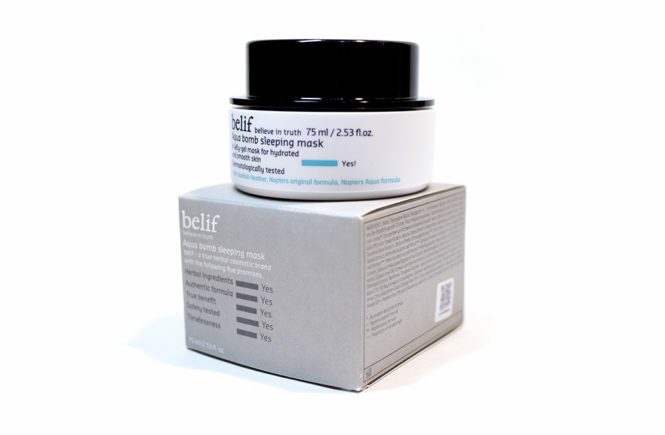 Once it is applied to the skin, it doesn’t fully absorb for hours – which is actually what makes it so effective as a sleeping mask. 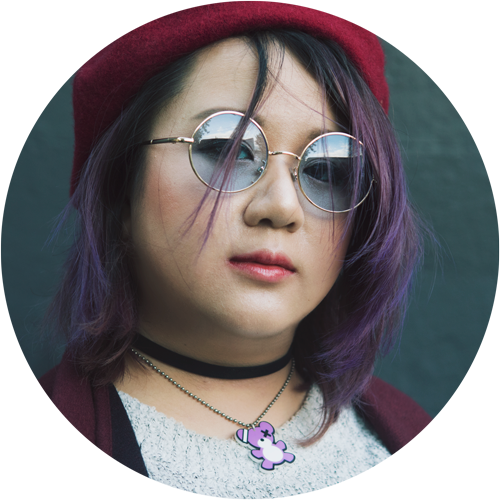 It does have a sticky texture which can transfer onto any pillow and will also stick to your hair; hence why I always use a head band at night. 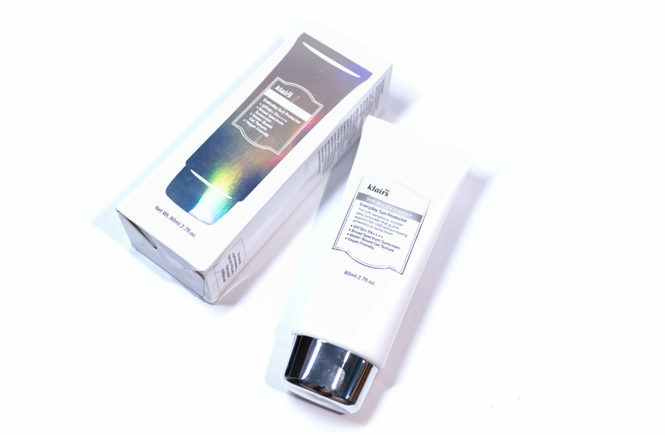 As I mentioned, this formula is also very thick and rich, so it might feel overwhelming if you have acne prone skin – this is not a lightweight formula at all. Instead, I would recommend this for dry to combination skin; it may work for people with oily skin (such as my combination-oily skin) but the emollient texture will take some getting used to. Overall though, I really enjoyed using this product and – even when this review is done – I will keep on returning to this sleeping mask. 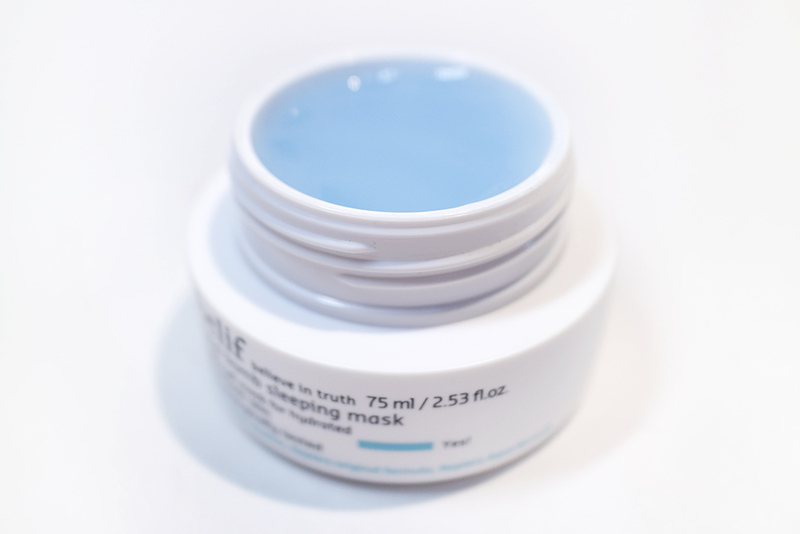 I feel like this is great to use in more dry seasons, while my HG Laneige Sleeping Mask is sufficient for normal weather. It is a bit of a splurge in comparison but, if you can afford to and want to spend the money, then this is not a bad investment at all. 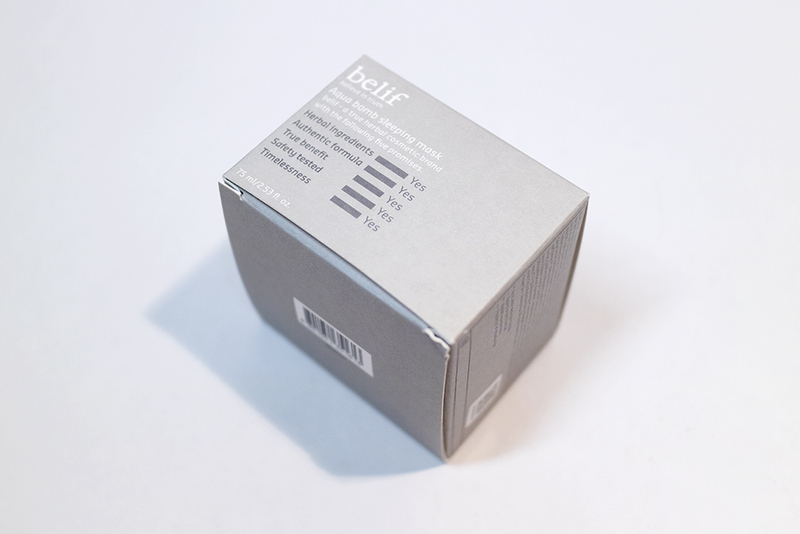 In fact, I can safely say that Belif has thoroughly impressed me with this product and I will be looking to try out more from them in the future! I think that I will be picking up their famous Aqua Bomb True Cream next and maybe their Witch Hazel Herbal Extract Toner. Let me know what your favourites are because I can’t believe how long it took for me to get on board! 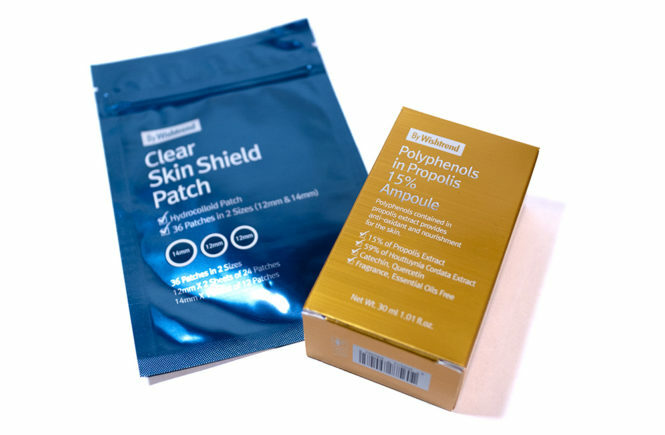 This product worked really well for me and I love it, so I would be recommending this to people – especially for people with dry or combination skin. 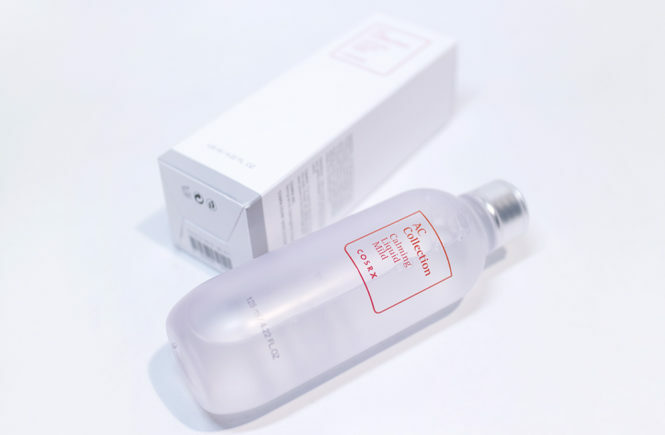 However, I absolutely know that this is an expensive product and that I am very lucky to have gotten this in my BONIIK collaboration so I would like to also recommend the Laneige Water Sleeping Mask as a more affordable but still lux and very effective alternative – that’s another one that I absolutely love and would recommend! I received the Aqua Bomb Sleeping Maskas a gift from BONIIK so definitely check out their website. 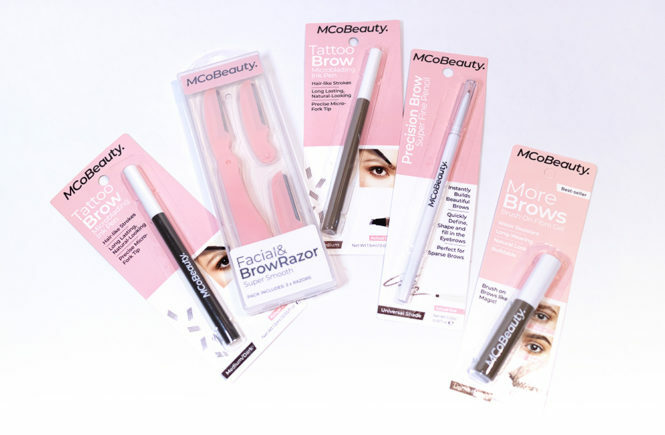 You can also drop into their stores at Westfield Sydney or World Square (Sydney CBD) if you are based around here too – and that would be the best because their sales people are very knowledgable and would also be able to recommend products to suit your skin type.